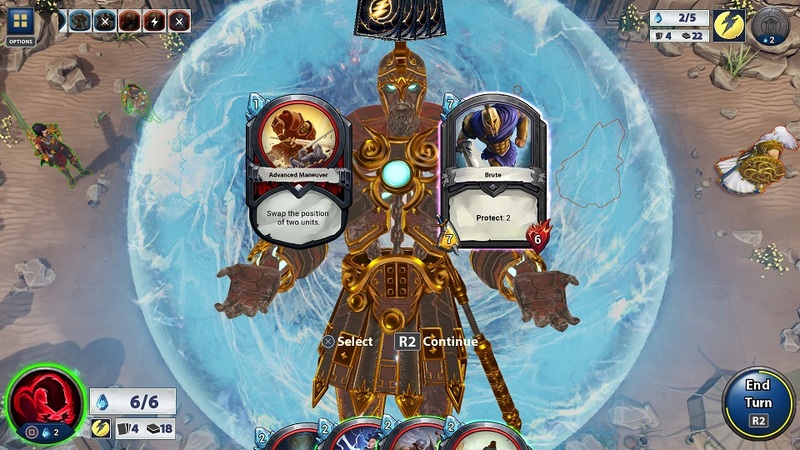 If you’re waiting for the next big update for Hi-Rez Studios’ Smite-inspired card/board game Hand of the Gods, wait no longer — not because it’s arrived but because it’s not coming. That’s what Hi-Rez President Stewart Chisam basically said on Twitter a couple of weeks ago, and which largely went unnoticed until Massively OP picked up on it this week. We have been working on and off on a nice bug fix patch to come out sometime soon. But no major content updates on the schedule. Servers will stay up as long as we have enough people wanting to play. “No major content updates on the schedule” and servers that will “stay up as long as we have enough people wanting to play” doesn’t sound like a pair of comments one makes about a game that’s still active and healthy. As MOP put it, it sounds more like maintenance mode. Hi-Rez has its own launcher for its games, but Steamcharts has HotG as averaging just 22 players online during May, down from a respectable 804 during its launch month in August. Even Tribes Ascend pulls (slightly) better numbers than that. Hand of the Gods is probably due to undergo a similar fate.